According to Texas Health and Human Services, one of the biggest problems that medical clinics face is “no shows” for appointments. No shows lead to a longer waits for patients who do make their appointments and those missing the appointments not receiving the medical care they need. One of the primary reasons for no-shows is a lack of transportation. In this article, we will provide you with a number of cheap options for medical transportation in Houston. Whether you’re a senior going to a doctor’s appointment or someone needing to refill prescriptions, this article will provide you with plenty of options for medical transportation in Houston. 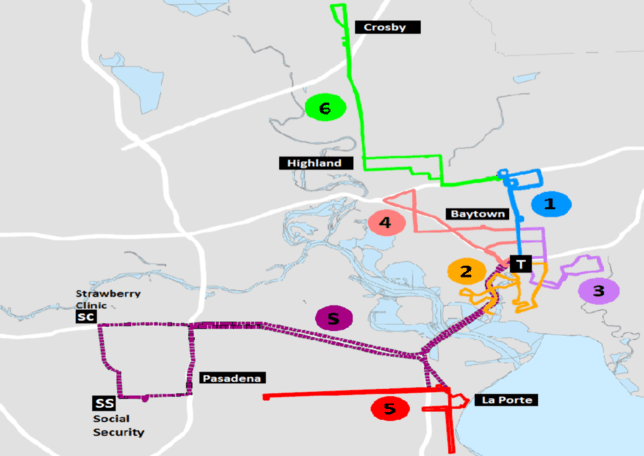 For anyone who doesn’t have mobility issues the bus, light rail, and rapid transit services are viable Houston transportation options. One way trips on both the bus and light rail cost $1.25. If you’re a student, senior, have Medicaid or a disability your fare is $0.60. This fare is good for 3 hours. A bus pass purchased at 7 am would grant you unlimited rides until 10 am that morning. Note: There is a $500 fine if you are caught without a valid bus pass. Double Note: If you finish with a bus pass early hand it to someone once you get off the bus/train and you will be showered with blessings. The cost for rapid transit services aka “the Park and Ride” depends on the distance. Typically this fare ranges between $2-$4.50. For anyone with mobility problems, a paratransit service is a solid option. To qualify, a physician must complete an application. In the first step, you will need to complete the first 4 pages of the application. Once you’ve, completed your portion of the application, it’s your physician’s turn; they’ll complete the last two pages. You must mail your application to P.O. Box 61429, Houston, TX 77208-1429 and an eligibility determination will be made within 21 days. For more information contact 713-635-4000. Harris Rides is the next option for medical transportation in Houston. Here’s a summary of their services. This service that provides taxi rides to eligible riders and covers 50% of the total cost. The agency caters to only older adults and individuals with disabilities. These customers typically cant access Metro services or they have no alternative for transportation. Harris Rides provides two different services. Continue reading to learn more. Riders share rides and pay based on mileage from the pickup location to their ending destination. The Shared Ride services is suggested for any trip over 12 miles. The customer pays 50% of the fare and prices for this service range between $6.00 and $42.00. You must book your Shared Ride trips 24 hours in advance. The Taxi Service differs from the Shared Ride in a couple ways. First Taxi Service trips can be booked the same day. Second, customers must only give 90 minutes of advanced notice. 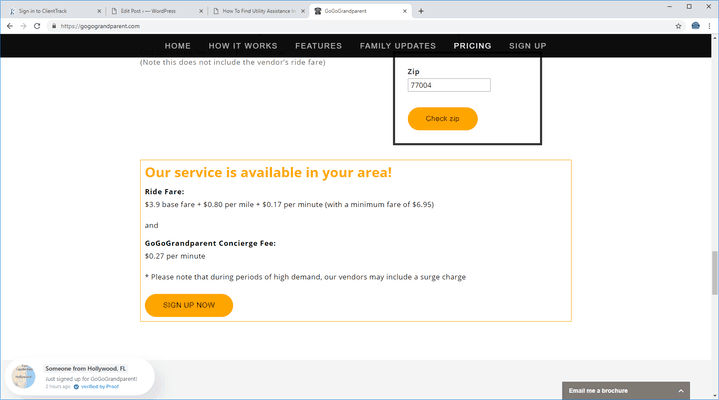 Also, this is a metered service with the maximum cost being $48.00. Like the Shared Ride service, the customer pays 50%. To apply for either service you must complete and mail your Harris Rides application to 8410 Lantern Point Drive, Houston, TX 77054. If you have additional questions contact 713.368.7433. Harris County Transit offers public transportation to individuals living on the outskirts of Houston. Their service area includes Crosby, Highlands, Baytown, LaPorte, and Pasadena. For residents who ride Harris County Transit more often the agency offers a Monthly Bus Pass Program. Prices for this program range from $8.00 to $30.00. HCT offers a curb-to-curb paratransit service similar to Metro Lift. This service is available to individuals with mobility issues that cannot access regular HCT bus routes. To apply for this services click this link, complete your application and submit it to HCT. For more information on HCT contact 713.578.2216 or email them at transit@hctx.net. If you have Medicaid health insurance another transportation service available to you is Medicaid Transportation. Medicaid Transportation offers ride assistance whether you have a vehicle or not. If you do not own a vehicle you may receive Metro Bus passes or a taxi voucher. 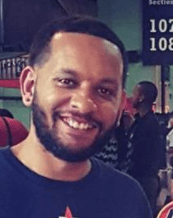 In most cases, you will receive a Metro Bus pass. If you have mobility issues that make it difficult to walk to a Metro Bus stop you can request a shuttle to pick you up from your home. To do this you must contact Medicaid Transportation and inform them of your immobility issues. Many times they will approve the first shuttle request without your doctor’s consent, but for ongoing shuttle service, you will need to involve your doctor. For ongoing shuttle service simply call Medicaid Transportation and provide your doctor’s name, address, and fax number. Medicaid Transportation will contact your doctor to verify your mobility problems. Once your doctor approves you will begin receiving ongoing shuttle services from your home. If you or a family member own a vehicle Medicaid can reimburse you for medical trips. In addition to these documents, you will also need to complete a Medicaid Transportation Program Provider Application. You will need to contact Medicaid Transportation at least 48 hours prior to your appointment. Red Cross offers non-emergency medical transportation to seniors and individuals with disabilities throughout Harris and Fort Bend counties. This is a free service although capacity is limited. You can utilize Red Cross as an option for medical transportation in Houston, but space is limited. Due to limited availability you are encouraged to schedule your ride at least 2 weeks in advance. Riders can request rides up to 30 days in advance. Contact Red Cross at 713.526.8300 to learn more about transportation services or schedule a ride today. For more information contact Gulf Coast Community Services Association at 713.393.4700. A new Metro program called Summer of Fun Pass Program offers free rides to Houston Independent School District students. Metro offers HISD students free rides from June 1st to September 1st. The program was created to help students attend summer school and jobs without worrying about the cost of transportation. To apply for the Summer of Fun Pass students should contact Metro at 713.635.4000 or visit a Metro RideStore. Fort Bend County Transportation Department provides shared bus rides to those living in Fort Bend. FBCT transports riders to both local destinations as well as trips to Houston. Local trips cost $1.00 each way while the Fort Bend Express ranges between $2.25 – $3.50 per trip. The Fort Bend Express transports residents to the Medical Center, Galleria and Greenway Plaza. Riders needing to schedule a trip must call 866.751.TRIP any day Monday thru Friday 8 am to 5 pm and ask for “Fort Bend County Reservation”. Rides can be scheduled between 1 and 30 days in advance. If you need more information regarding the Fort Bend County Transportation Program call them at 866.751.TRIP. Katy Area Ride Service (KARS) offers low-cost transportation options to Katy residents 65 year or older, individuals with non-wheelchair disabilities and veterans. KARS rides must be scheduled by noon 24-48 hours prior to your trip. To apply for the KARS Program call them at 832.773.8645 any day Monday through Friday from 9am to 3pm. Senior Rides and More offers FREE rides to seniors who need help with transportation. Be ambulatory. Canes and walkers are acceptable, but not wheelchairs. Volunteers use their own personal vehicles which may not always be equipped for a wheelchair. To apply for transportation services select your service area (SW Houston, NW Houston) and print your application. Complete the application and then fax 713.838.9976, mail or email it to Senior Rides and More at info@SeniorRidesandMore.org. For more information contact Rides and More at 713.772.8181. Go Go Grandparent is a service that helps seniors connect to ride sharing programs like Lyft and Uber. Seniors seeking cheap medical transportation in Houston will be glad to know that no tech skills, app or even a smart phone is needed. As long as you have a dial tone you can call Go Go Grandparent to schedule pick up and drop offs. To request a ride from either Lyft or Uber you need to first call Go Go Grandparent at 855.464.6872. Press 1 to request that Lyft or Uber pick you up at your home. Press 2 to have the ride sharing program pick you up at the place you were dropped off (doctors office, grocery store, etc). Press 0 if you need to speak to an operator. Note: You can schedule a ride in just 15 minutes, no need for pre-scheduled appointments. How Much Does Go Go Grandparent Cost? Prices vary depending on your location, but I entered the Third Ward zip code of 77004 and Go Go Grandparent charges .27 cent per minute. If it takes Go Go Grandparent 5 minutes to arrange your ride to the doctor’s office then you would be looking at a $1.35 fee. Keep in mind that this does not include the fees of the ride sharing program. Below is a visual to give you a better idea of what you might pay for Go Go Grandparent services. For more information, visit their website or call them 24 hours a day at 855.464.6872. Project Access provides free transportation services to homeless individuals. The service is provided by Healthcare for the Homeless. The service offers travel to designated locations in the downtown Houston area where riders can access health care, meals, shelter or social services. The bus operates Monday through Friday from 7am to 5pm. Here is a bus schedule for Project Access. Riders must have a ticket each time they get on the bus. Typically the Project Access Bus will pick up and drop off riders at established Metro Bus stops. For more information on Project Access contact 713.286.6168. Life in Houston without a car can be difficult which is why resources like these are greatly needed. This guide was created to help you and others obtain affordable transportation services. 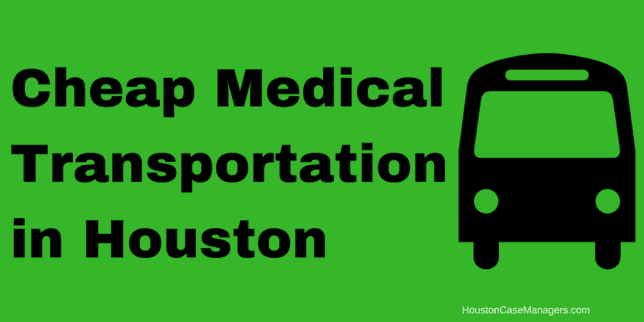 If you know of anyone who needs medical transportation in Houston please share this with them.